If you use Plex, you already know it's an amazing tool for managing your completely legitimate media library. It really is great - and today, it just got a little better, especially if you've been hankering to play back 4K videos on your Android or Android TV device. 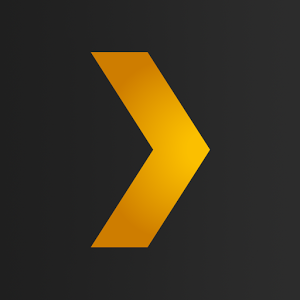 Plex v4.8 for Android adds three things, but they're all pretty significant. First on the list is 4K HEVC (aka the H.265 codec) playback support. Now, the main reason that's really useful is, essentially, for playback on Android TV devices connected to a 4K display. While it'd be fine to downscale to 1080p on smartphones, if you've got a 4K television, you want 4K content. So that's definitely a big addition to the Plex repertoire on Android. The next feature is probably even more important for your average Plex user - MKV playback support. Previously, Plex did not allow for playback of MKV files on Android, and now it does. The catch is that you'll have to go into the app settings and select the "Experimental Player" mode, at least if you're on a phone or tablet. The new MKV support works natively with Android TV devices, so there's no setting to check. Finally, AC3 passthrough is here. Again, this one is specific to Android TV. This will allow videos which use Dolby's digital surround AC3 (or E-AC3) audio codec to pass the raw, unaltered digital audio directly to your TV or stereo receiver, instead of being streamed to your Android TV as a re-encoded stream from the Plex server. It also means you'll be able to get true surround sound, assuming you've got the equipment. The update is available on the Play Store now.